Edward Evans was born in London, the son of barrister. After completing courses at the Royal Naval College he received his commission and in 1902 promoted to Lieutenant. At this time, 1902, he was the second officer of the Morning, the relief vessel of Scott's Discovery Expedition (1901�04). Commander Evans was married to Hilda Beatrice Russell at St Barnabas's Church, Fendalton, Christchurch, New Zealand on 13 April 1904. Hilda was a daughter of a solicitor of Christchurch and niece of Mr. G. W. Russell, a Member of Parliament at New Zealand. Naturally enough, Hilda stayed on in New Zealand while her husband (second in-command) and Scott (first in-command) went off to the Antarctic in 1910. So too, Scott's wife, Kathleen Bruce, stayed -- she had come out with her husband that fall -- the two could not bear one another's company. Evans was with the Scott party on their long 900 mile trek to the pole, but returned when they were but 167 miles from the pole. On the return journey, Evans became seriously ill, and, still miles from base camp, had to be pulled on the sledge by his remaining two companions: Crean and Lashly. With yet 35 miles to go, Crean (What a Man!) left Lashly and Evans (a very sick man at this point) in their tent and went, with hardly a bit to eat or drink, 18 hours non-stop to base camp. Those that were there, struck out with the dogs and rescued Lashly and Evans. So seriously ill was Evans, they put him on the returning ship, the Terra Nova that March, 1912. He returned though the following Fall (spring in the Antarctica), again the captain of the Terra Nova. In April of 1913, Evans and his wife were making their way back to England when his wife, Hilda, died at sea. Following his Antarctic service, Evans went on to have a very successful naval career. At the outbreak of the First World War in 1914 he was promoted to Commander. In February of 1928, he was promoted to Rear-Admiral; in 1932, Vice-Admiral; 1936, Admiral. During January of 1941 he retired from the Royal Navy. 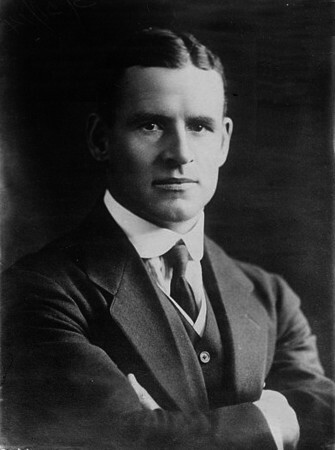 Evans wrote several books about Antarctica: South with Scott (1921), British Polar Explorers (1944), and The Desolate Antarctic (1950).